Don't miss your chance to get involved. Purchase a copy of Jill's Journey today and see how your contribution can help Jill make a difference. Jill Erin Egle was born on July 19, 1976 in New Orleans, LA, lived in Cutt Off, LA until age 11 and then moved with her parents to Northern Virginia, in the Washington DC metropolitan area. At around three years of age, her parents began to see that Jill was different from other kids. She was eventually diagnosed as MMR, mildly mentally retarded. Her young life, like many with IDD, was painful - no friends, constantly picked on, mistreated - kids were cruel. No matter how hard she tried, happy times away from home were few and far between. However, her sanctuary was her home where a loving family was always there to encourage her to keep being the best person she could be as well as encourage her that God had a plan for her and eventually it would reveal itself. Jill graduated from high school in special classes and tried to find a job. After being fired from one job after another and volunteering at non profit agencies, she finally found a loving, caring environment at the Arc of Northern Virginia. It was then that her life took a turn for the better. Jill's Journey is a life-long trip. 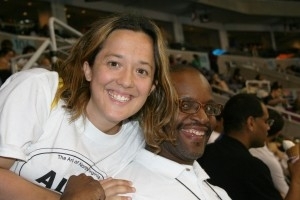 She has recently left The Arc of Northern Virgina and moved to New Orleans with her family. At 35-years old, she has found her purpose in life which is to advocate for those with IDD. Finally putting her foot down, Jill began stepping out and showing the world that persons with IDD, who cry for justice and reason, are being ignored by society. Her work is a never-ending journey - as long as there are people with intellectual, developmental disabilities. 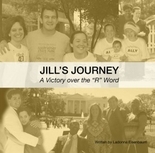 Jill's Journey is one of conviction that takes her to all corners of the country to the places where the voices of people with IDD need to be heard. Jill's story comes from within and is heart warming. If your group or organization would like to book a speaking engagement with Jill she would love to share her story with you. "Jill's Journey" is the heartwarming story of Jill's life and her courageous fight to show the world that those with IDD can live " A Life Like Yours". To order a book, go to "About the Book" tab and click "buy now"